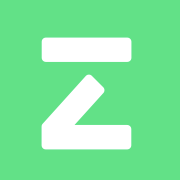 £0.55 per hour - if you have purchased your Hire and Reward (food delivery) and Social, Domestic and Pleasure insurance through Zego. £0.75 per hour - if you are just using Zego for Hire and Reward. When you accept a delivery, one hour of insurance will be bought and put in place for you. At the end of this hour, the Zego app will check into your work provider app to see if you are still working. If yes, you will be charged minute per minute until you stop delivering. If no, Zego insurance will automatically switch off until you pick up your next delivery. Once this happens, the process will start again.